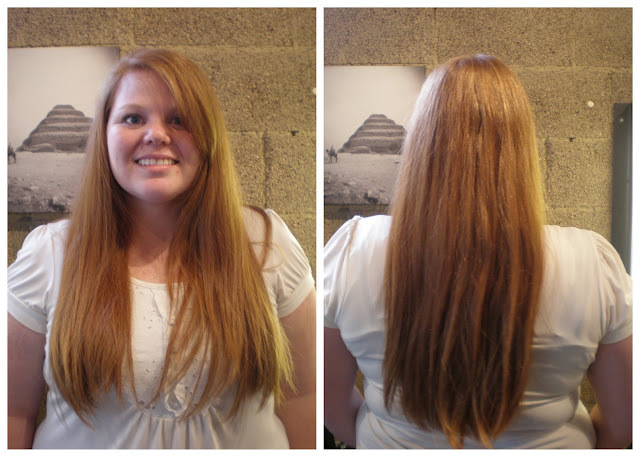 Here we have the before picture of my super duper long hair that has been killing me for so long. I was never planning on letting my hair get this long but sometimes the pony tail is just so easy and suddenly your hair is way too long. Don't get me wrong there is pleanty of fun styles you can do with long hair. But for me that playground needed to be shut down. 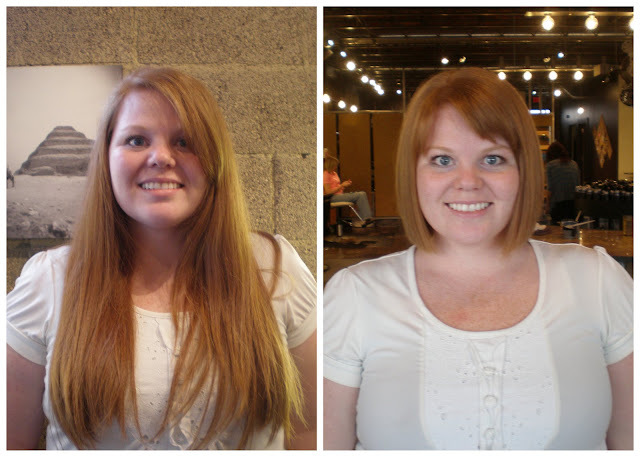 So I took the plunge and cut 13 inches off!! I didn't even flinch. I don't miss it and I am in LOVE with my new haircut. I love the girl who cuts my hair she is always so good with my bangs. She cut them so I can wear them in three different ways. 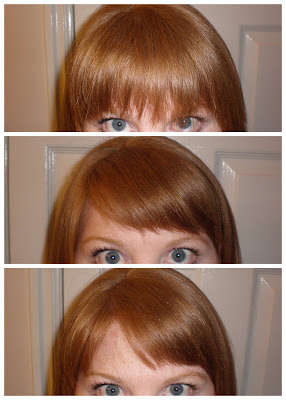 I love bangs! and hopefully this will make one sick little girl happy. I would like to think that some red headed little girl gets it and loves it like I did. PS. 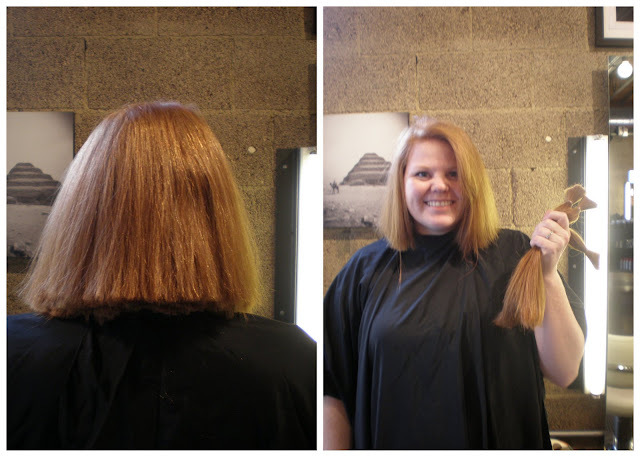 this was a much better experience than the first time I donated my hair. A THOUSAND times better. So incredibly hot. Can't wait to see it in person. Looks so good. I'm sure you will love it!!! 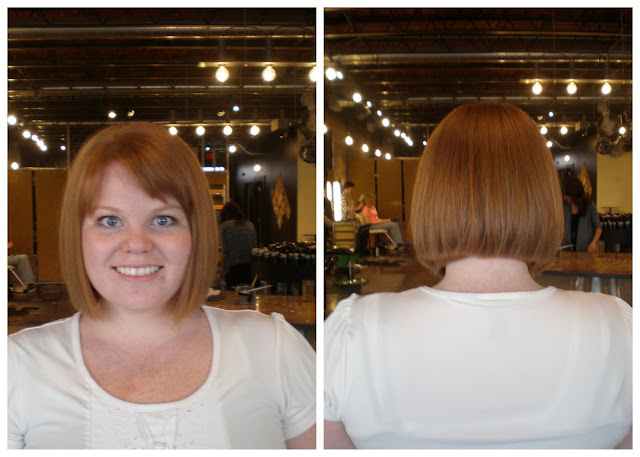 Looks awesome- and I bet it feels so good to have it short! you always have the best hair! so jealous and it looks SOOOOOOOO good. looks awesome!! My rule is to cut it as soon as I get to "ponyland." 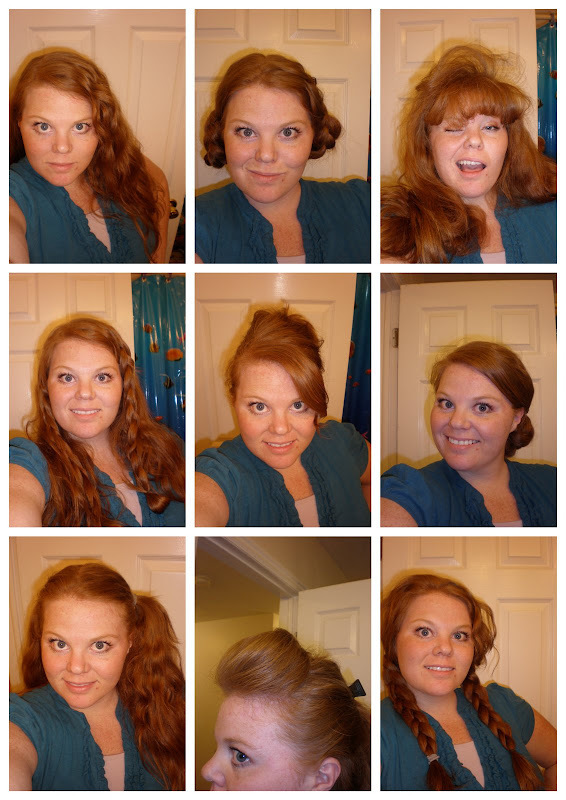 so did you spend like an hour doing different hair styles on yourself at Mom's house? I'm just sayin' It looks great. How do you get your bangs to do that? mine have a GIANT cowlick in the middle of them...you look awesome.